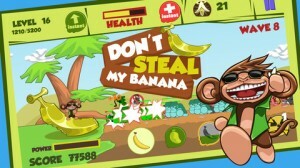 Don't Steal My Banana iPhone Game Review: You'll Go Ape! 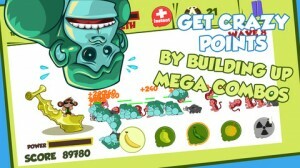 Don’t Steal My Banana iPhone Game Review: You’ll Go Ape! Don’t Steal My Banana is an iPhone game developed by Dragon Game Studio. If you love iPhone games that require fast fingers and clever stratagems, you should definitely check out Don’t Steal My Banana. After all, it’s free! When a giant golden banana fell from the sky, a jungle-dwelling monkey named Baby Ulu decides to claim the giant banana for himself. Unfortunately, the various other creatures in the jungle want the magical sky fruit for themselves! It’s up to you to keep your enemies at bay, using a hilarious assortment of improvised weapons made from tropical fruits, including Poison Bananas, Stun Mangos, and Durian Grenades! Featuring addictive gameplay, simple controls, and charming graphics, this game is pretty much the whole package. While it does take a bit of practice to master the art of aiming these projectiles, the simple tap ‘n hold controls are easy enough to get the hang of. The developers want you to know that Don’t Steal My Banana doesn’t work well on iPod touch devices that are 4th gen or older. But don’t despair: the developers are working on a fix that should be released soon. 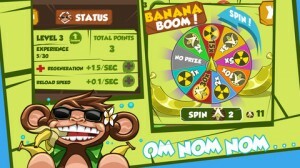 With an awesome soundtrack that feels like it was ripped right from the premium arcade games of my youth, Don’t Steal My Banana is a frenetic, addictive, and challenging iPhone game title. Sorry Donkey Kong, you’re no longer my favorite video game ape. That honor now belongs to baby monkey Ulu! 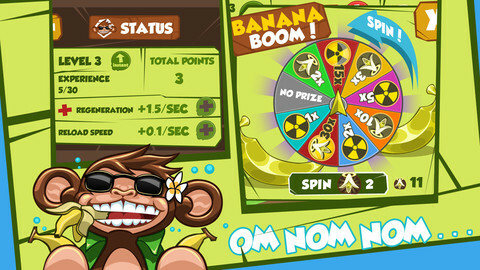 Blending elements of tower defense, strategy, and arcade gaming, Don’t Steal My Banana is a must-play for kids and adults alike. Once you get the knack for aiming your fruit-based assaults, you’ll be knocking out warthogs and fighting off gorillas like a pro! 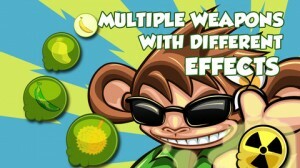 Don’t Steal My Bananais compatible with iPhone, iPod touch, and iPad. Requires iOS 4.3 or later. This app is optimized for iPhone 5.